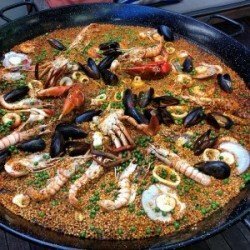 We at Perth Paella Parties are looking to offer our clients a unique catering experience.We acknowledge that the food and catering can be a make or break factor at a social gathering and hence as a top Paella catering Perth caterer, we focus on offering you the best services.The region in and around Perth is home to several caters, but we have managed to stand out from the crowd. It is the range of recipes on offer that has made us special. 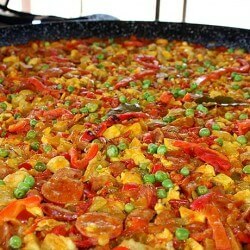 We certainly offer you much more than just ordinary through our Paella Perth recipes. One can also rely on us for the best Tapas catering Perth. As the best Tapas Perth caterers, we offer you a range of extensive cuisines. Whether one needs garlic prawns or chili garlic calamari, we offer you an exclusive range of Tapas Perth menus. Olive oil sauté potatoes with red onions or pork belly with onion jam are some of other delicacies we offer. Therefore, as a reputed party catering Perth firm, we certainly do everything to make your guests satisfied with the food’s quality and taste. Coming straight from our chef’s kitchen to your table, savour the best Tapas in Perth with Perth Paella Parties. Tapas can be a perfect food addition to your upcoming event, especially if you want to give your guests a truly authentic Spanish cuisine experience. Our Tapas catering in Perth is available for all kinds of social gatherings and celebrations. Pick up your phone and let us know the kind of hospitality you are planning for your guests. Through our Tapas and Paella catering service, we’ll make sure they have a great time and leave the venue with the fondest memories. 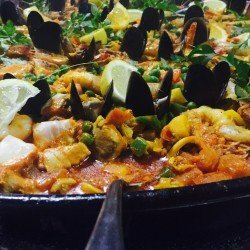 Let Perth Paella Parties handle your catering needs so that you have ample time to entertain your guests and focus on other arrangements, such as music, lighting and decorations in general. Choose from our extensive list of Paella and Tapas recipes or have one prepared your way. Our chef would love to mix and match cuisines to give your guests a fantastic experience like never before. We can also recommend various food-wine pairings to delight your guests, so you can take the credit of being a wonderful host. For corporate and private parties in Perth, we provide the best Tapas and Paella catering to give you and your guests a memorable dining experience. Call today to know more! Planning to throw party this birthday and looking for reliable food caterer. 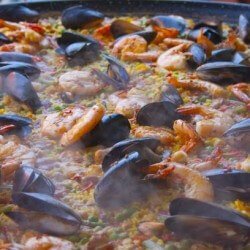 I would recommend Perth paella parties, a popular food caterer and host having long list of delicious food and delicacies to be served with love to your guests. Make your event amazing by including Tapas and cocktail items and paella catering. You can also hire these professionals for full catering service at any event, they are affordable and presentable. Book them online today!